For the best site viewing experience, this site is using tracking cookies. Find out more about what cookies we use and how we use them here. 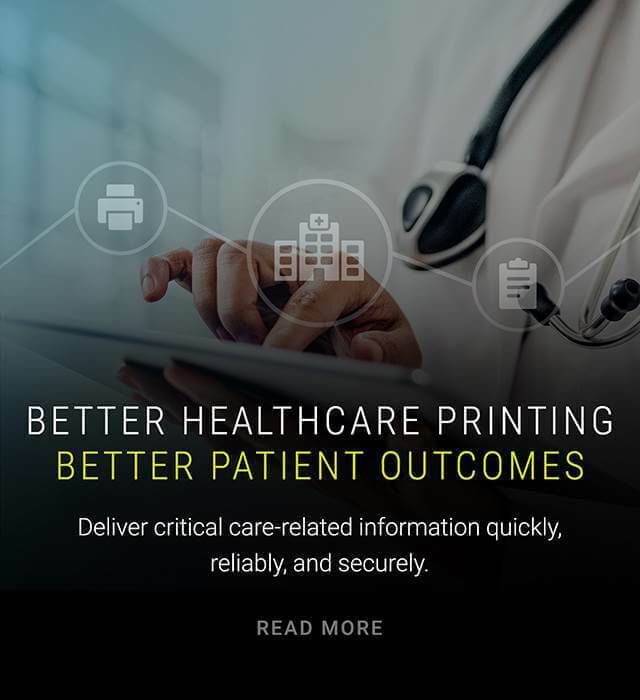 LRS Healthcare and EMR Printing software provides fast, reliable delivery of patient records and other healthcare documents improving patient outcomes and saving hospitals money. 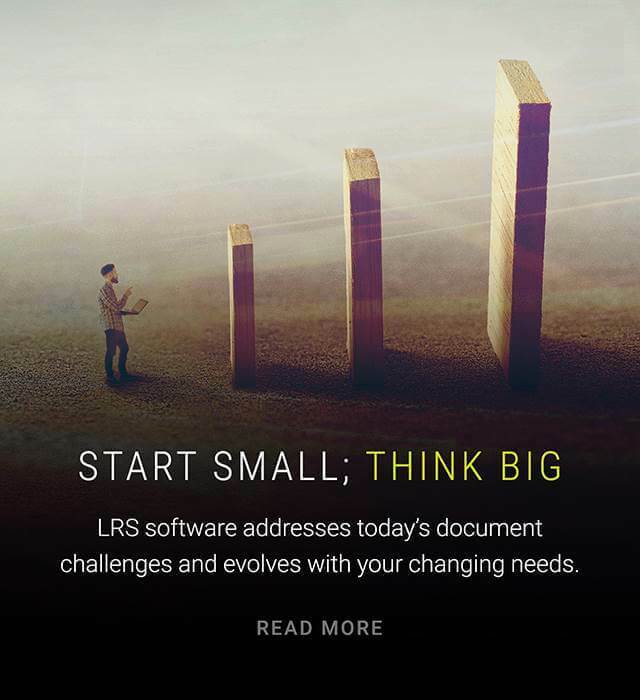 LRS software handles secure, tamper resistant printing while aiding downtime reporting, affiliate printing, and HIPAA compliance efforts. 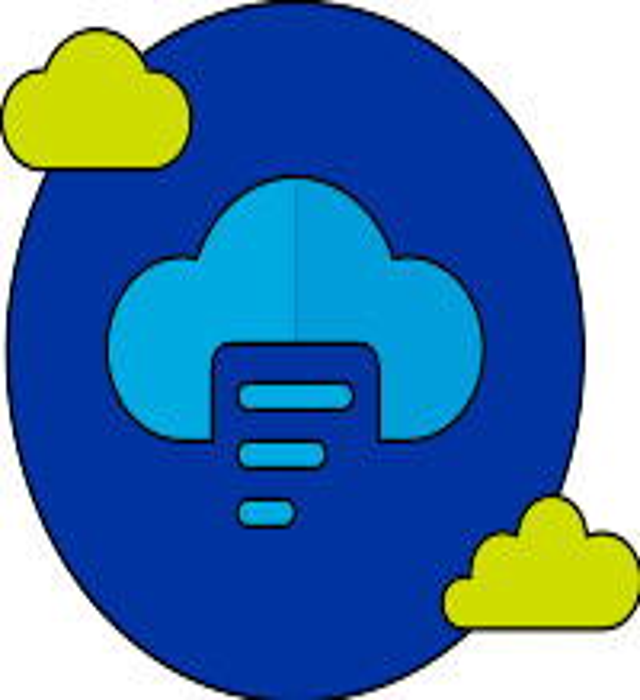 LRS Output and Print Management software eliminates document complexity and provides a single, powerful enterprise print management solution for managing both desktop printing and application-generated output. Printing is no longer simple - but Workplace Printing software from LRS can make it simple. 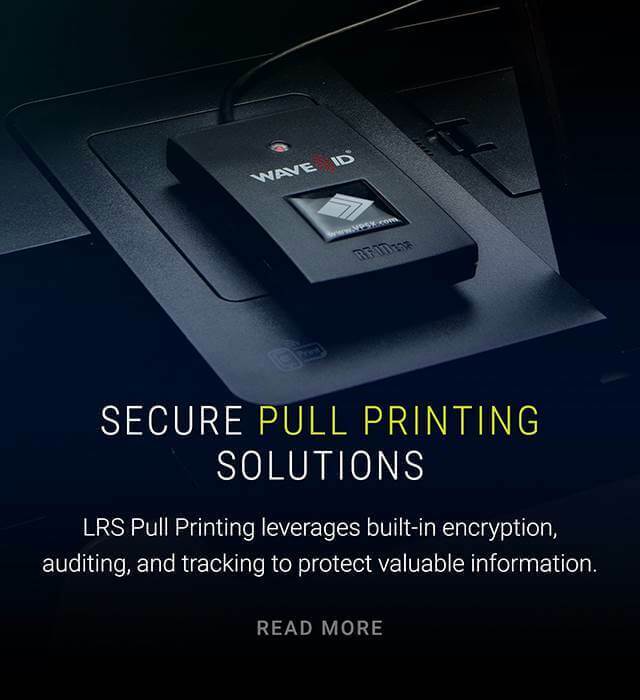 Pull Printing software from LRS protects sensitive documents by preventing delivery to printers and other destinations until the intended recipient authenticates their identity at the actual output device. If you do not want this site to apply cookies to your device, please adjust your browser's settings to privacy mode - refer to your browser's website to change your settings. If you do not adjust your browser settings to privacy mode but continue to use this website, cookies will automatically be applied to your device. If you do not fill in a webform on these websites, opt in to our newsletter or any other of our marketing emails, your past browsing on these websites cannot relate to you as an identifiable individual and we will not have your personal information.